BECAUSE OF NIGERIA’S RECESSION… THE COUNTRY WILL NEED TO FOCUS ON NON OIL SECTORS!!!!!!!!!!!!!!!!!! One of the biggest economies in Africa has recently hit recession. The GDP fell over 2% in the second quarter of 2016. The International Monetary Fund believes Nigeria will see negative -1.8% in its real GDP for the rest of the 2016 year. The recession in Nigeria may be the very worst to hit the country since the 1980s, probably as bad as 1987. Nigeria Finance Ministry has indicated that Nigeria will borrow close to 10 billion dollars USD, which over $5 billion dollars USD being borrowed from foreign lenders. The government has indicated the money borrowed will be used on domestic projects such as power, agriculture, mineral and infrastructure development. Book Report for Millenniums Gordon’s “The Rise and Fall of American Growth”- Why Millenniums Can Expect No Future! I’ve just finished reading Robert Gordon’s newly published book titled, “The Rise and Fall of American Growth”1, which has been a real eye opener for me in understanding the economic problems now facing America. Although a long book, 650+ pages and written by an economist for economists, plus it’s filled with page after page of economic statistics, I nevertheless found it very interesting with a history of technological development in America and its impact on our society. But that’s not all, for he also projects the growth for the near future to 2035 … and it doesn’t bode well for the millenniums. America experienced incredible growth from 1870 to 1970 because of what Gordon calls the “Great Inventions”. These are the major inventions or technologies which made our modern world as we know it today, such as electricity, running water and sewer systems, internal combustion engines (automobiles and trucks), modern medicine, central heating, food preparation and transportation, consumer credit and communications (telegraph, telephone, radio, movies). These are the building blocks of our modern world and it was this building of our modern world that created the unprecedented growth of America’s economy. Gordon’s basic premise is that GDP (Gross Domestic Product) is a measure of the standard of living, but the effects of the Great Inventions are not fully reflected in the GDP data, and so GDP is greatly understated. In other words, the economic growth was larger than what the numbers say it was. This 1870-1970 growth spawned huge job opportunities, which in turn resulted in demand for labor that caused a massive influx of immigrants in the late 19th and early 20th century. In that century, American’s came to expect plentiful jobs and good pay. They assumed this is the way the world is suppose to be, and hence would always be. my career. This lack of growth translates directly into the limited job opportunities of today’s youth and why 20% to 25% of recent college graduates are under or unemployed. But more importantly, Gordon says that this 1870-1970 century of growth is not to be repeated again, that we can expect little to no growth for the next several decades or more. Without another dose of great inventions, such as those that spurred the impressive growth of the last century, there is little to nothing to force growth in the future. At best, our standard of living will remain the same, but as we are already seeing with the millenniums, it’s actually sliding downwards. More importantly, Gordon shows just how very little real understanding the sixteen election candidates have of the problems of employment, that all their talk of creating new jobs for American and revitalizing the economy is just so much groundless rhetoric. Without the great inventions being repeated, there is nothing they or the legislators can do to bring back that era of high growth. While Gordon does touch on the problem of technology displacement, what I think he’s missed is the increasing high cost to keep an individual in a high technology society, coupled with not appreciating the increasing effects of technology displacement. The growth in technology is exponential which means the displacement rate of people is increasing, thus the number of obsolete people continues to increase with no end in sight. And none of those we elect to govern us seems to understated the significant of obsolete people and technology displacement to the growth problem of the economy. Obsolete people in turn causes an increase in the burden society must carry, which then means fewer resources available to grow an economy. As a technologist this doesn’t surprise me, however economists have very little understanding of the technological world they live in, not having a technical foundation. In a world made up of dry statistics and graphs, it’s hard for them to see the constant falling away of career fields, usually replaced by new career fields paying less. Whenever you lower the intellectual-skill level of a job, you reduce the cost of labor simply because more people are able to do that job, which in turn lowers the compensation to individuals. Unfortunately, Gordon doesn’t account for the impact of this continual decreasing of skills and the result it’s having on economic growth. While in the last century, technology was creating jobs and growth, this century it is now strangling growth by leaving more and more people with low end, low paying jobs, and consequently no growth in America. After identifying the causes (forcing functions) for growth in America, Gordon then shows how lack of these forces means little to no growth for the next thirty-five years, which is the new reality and world for the millenniums. And no growth means the millenniums will not have the opportunities of their parents and grandparents. I consider this book to be must reading for anyone with any interest in economics, finance and the plight of millenniums and their future. The detail history of how our economy and society grew and changed is fascinating onto itself, how everyday life was in the mid-nineteenth century and how it evolved into the modern world we now consider the norm and unthinkable to be any other way. It’s amazing how that century from 1870 to 1970 was filled with so many new technologies that interacted with each other to profoundly change the world we live in, and sobering to know that such a century of change will most likely never occur again. This book clearly shows how the future opportunity for the millenniums will be so very different from the world of their parents and grandparents. 1) “The Rise and Fall of American Growth, The U.S. Standard of Living since the Civil War”, Robert J. Gordon, Princeton University Press, 41 William Street, Princeton, New Jersey, 08540, 2016. ECONOMIC DEVELOPMENT IN DOMINICAN REPUBLIC, MAKES IT A LEADER IN CARIBE & LATIN AMERICA!!!!!!!!!!!! Dominican Republic economic development is booming and the island/country has alot to be proud of in its economic accomplishments. 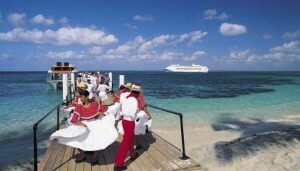 Tourism has played a key factor in Dominican Republic’s emergence and dominance. The last couple years the island has seen a 7% percent increase in its GDP. Dominican Republic’s GDP figures show an evasive increase in industries such as construction, tourism, hospitality, and banking. Revenue coming into Dominican Republic has topped $23 billion and much of that has to be accounted from foreign investors who are heavily pouring in capital to this progressive country. TFTA CREATED BY AFRICA NATIONS… EMBARK INTRA-TRADE WITHIN AFRICA…. The TFTA pact allows member African countries to trade goods amongst themselves. 26 African nations signed the trade agreeement in Cairo, Egypt. Three different trade organizations collectively bonded together to make the TFTA happen. The organizations that participated in consolidating to make,the Tripartite Free Trade Area (TFTA), are the Southern African Development Community (SADC); the East African Community (EAC) and the Common Market for Eastern and Southern Africa (COMESA). 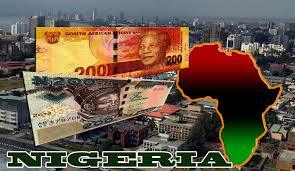 Africa’s Growth Potential Spurring Rapidly…. Africa does seem to hold promise it is just a matter of timing…. Eventually Africa will be sought as a mundane middle class economy. This will indeed happen.